With about three weeks left in the 2015 MLB season, a couple of teams are hoping they can finish strong and stay out of last place in their division. The Cincinnati Reds are currently in last place in the National League Central. The reason this is noteworthy is that the Reds have not finished in last place since the MLB went to three divisions in each league in 1994. The Reds are 3.5 games behind the Brewers for fourth place. 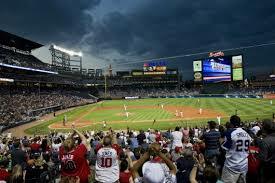 The Atlanta Braves have a 1.5 game lead over the Phillies in the battle for fourth place in the N.L. East. The Braves are also one of five teams that has never finished last in their division since ’94. Since 1994, the Tampa Bay Rays have finished in last in their division most often; they have finished last in the A.L. East 10 times, most in the majors. Here is a look at how many seasons each franchise has finished in last place in their division since ’94 (current city for each franchise is listed).